Greene Hall is a co-ed residence with computer lab, vending, and laundry room. It has all luxury, vinyl floors throughout, traditional-style community bathrooms on each floor and is located just across from several of the athletic fields. Greene Hall has Living Learning Communities of Greene Light Art, First Year Experience and also houses several of our Mulerider athletic teams, such as Baseball, Tennis and Track and Field. The Greene Light Art Living Learning Community is open to anyone who has a passion for art. When space is available in the residence hall, students in this living learning community will have the opportunity to use an art studio. 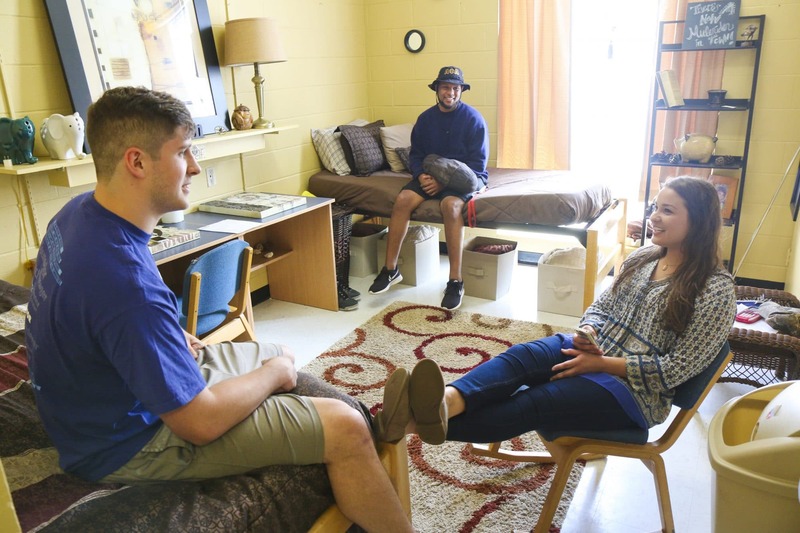 Many students come to college their first semester and are unsure of what to expect, where to go, and who to ask for help. The First Year Experience Living Learning Community (LLC) has been created to help you find your place at SAU.